After a season at the unhappy crossroads of old- and new-school analysis, the Maple Leafs hope a more numbers-savvy front office will translate to better times on the ice. This is part of our series of quick season previews for the seven Canadian-based NHL teams. We've also covered the Vancouver Canucks, Calgary Flames, Edmonton Oilers and Winnipeg Jets. Last season's record: 38-36-8 (84 points), 6th out of 8 in Atlantic Division, missed playoffs. Last season's story: Toronto found itself at the unhappy intersection of old- and new-school hockey analysis after the quants said their hot start was unsustainable given their horrid possession rate. The Corsi Hockey League isn't a real thing, but the puck is, and the Leafs had it less than pretty much anyone. To the Eye Test guys' chagrin, a 10-4-0 October proved to be a mirage, and the Leafs lost 12 of their last 14 to miss the playoffs for the eighth time in nine years. Right near the end, NHL discipline sheriff Brendan Shanahan was brought in as president. He elected to keep GM Dave Nonis and coach Randy Carlyle (for now) but gutted the rest of the staff and hired numbers-savvy Kyle Dubas, 28, as an assistant GM who will reportedly oversee the newly created analytics department. 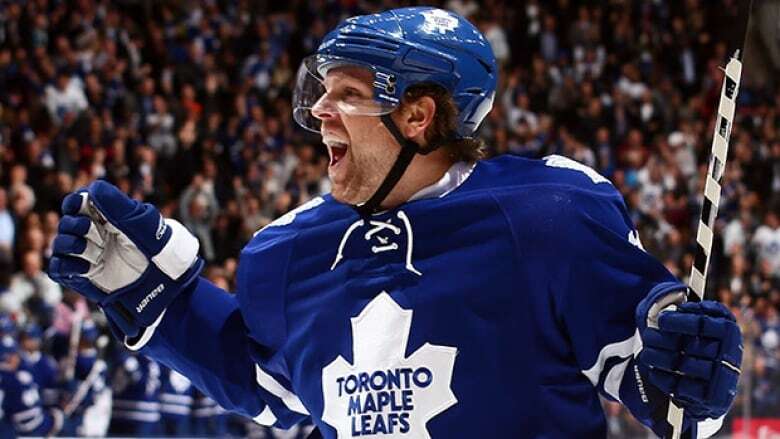 Key off-season additions: F Leo Komarov, F Mike Santorelli, F David Booth, F Daniel Winnik, F Matt Frattin, F Petri Kontiola, D Stephane Robidas, D Roman Polak. Key off-season subtractions: F Dave Bolland, F Mason Raymond, F Nikolai Kulemin, F Jay McClement, F Jerry D'Amigo, D Carl Gunnarsson, D Paul Ranger, D Tim Gleason. Best-case scenario: The numbers guys can't erase the worst digits (6 years, $31.5 million US left on David Clarkson's contract) but they're able to cap the spending on misvalued players while identifying some bargain moves. Goalie Jonathan Bernier stays healthy; captain Dion Phaneuf plays like a $7-million-a-year defenceman; sniper Phil Kessel scores 40 goals for the first time; flashy young forwards James van Riemsdyk (still only 25 somehow) and Nazem Kadri (23) deliver two-way efforts; and Toronto fans don't have to cling to the Raptors again come springtime. VOTE: Dion Phaneuf: Will the Leafs trade him this season?